The shape of the smartphone is changing as a fad turns into a long-term trend, a business analyst has noted. 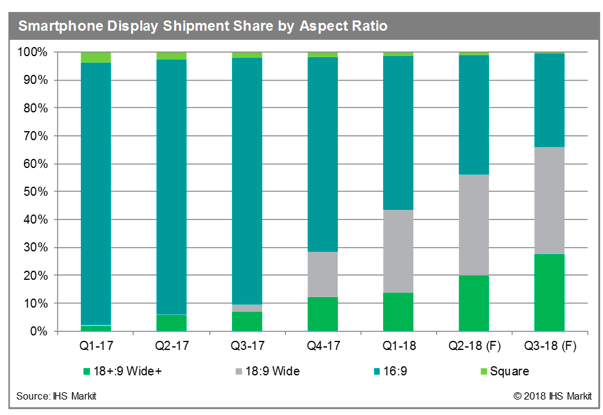 Analyst outfit IHS Markit said it expected wide aspect ratios – either 18:9 or 18+:9 – to make up two-thirds of new device sales in Q3 of this year. At the start of 2017, the "traditional" 16:9 ratio display was seen on over 95 per cent of phones sold. 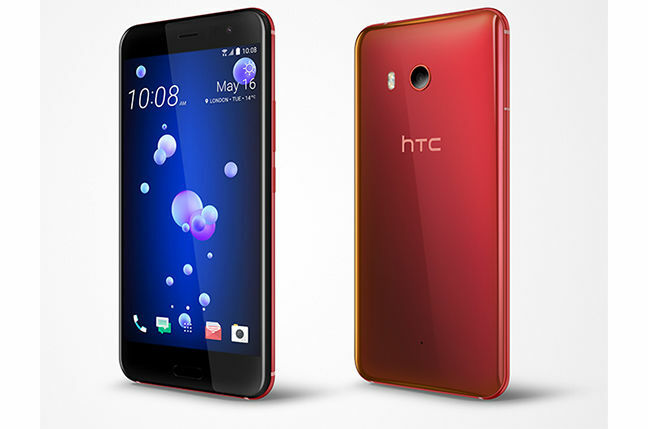 The taller, narrower shape is no longer a flagship feature, the company noted. "Smartphone makers are now aggressively applying 18:9 aspect ratio of TFT LCD to their 2018 models even for mid-end and entry-level smartphones, instead of using high-priced flexible AMOLED panels," said IHS Markit's Hiroshi Hayase. Notch-hosting phones will continue to proliferate, said the analyst. You can think of a Notch as an ugly cutout (glass half-empty), or simply a useful extension of the display, allowing extra information to be displayed (glass half-full). OLED panel pioneer Samsung introduced the 18:9 ratio in its own Galaxy S8+ last year, but didn't feel it necessary to mar the display with a cutout. That came with Apple's iPhone X, much copied this year, with its 18+:9 display. A survey of 150 new devices released so far in 2018 found that 22 per cent copied Apple and introduced a notch, despite official support from Android not being introduced until later this year (that means notification icons should not disappear). The 18:9 format is described as a "wide angle ratio", but it has resulted in narrower, more comfortable phones to hold. The width of the display can be reduced at the expense of height.